Built to Brew is published! Midsummer’s day and my copy of Built to Brew arrives, so the book is a reality. Feelings of relief aside, I took time out to look at and enjoy it, remembering the stories behind the illustrations. There will be celebrations tonight! By now of course I’m in the middle of planning and taking photographs for my next book, a study of Victorian and Edwardian factory and industrial architecture (so there’s obviously some overlap with breweries). 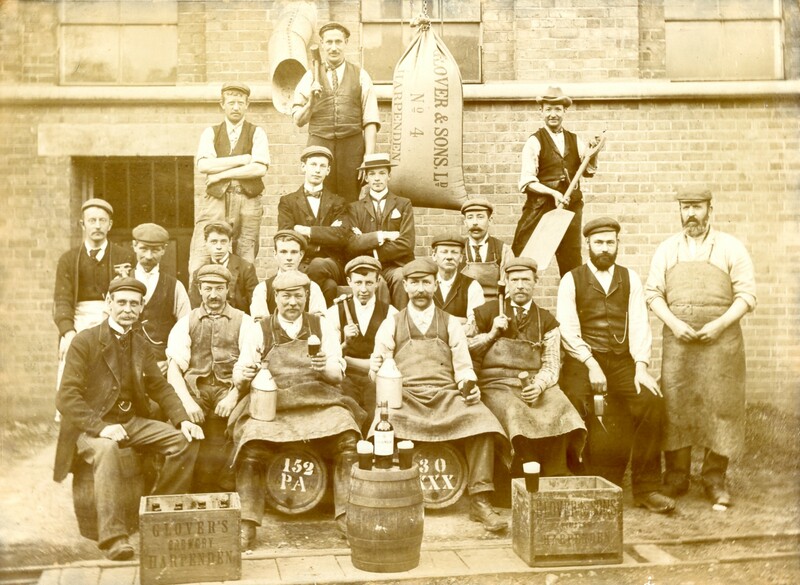 My photo this week is of a jolly group of workers at Glover’s Peacock Brewery in Harpenden, Hertfordshire, taken around 1900. This entry was posted in Built to Brew, Industrial architecture and tagged beer. Bookmark the permalink.